It has been some time since I looked at ProDoc document assembly software. Over the years, I have accumulated many forms that I have automated using WordPerfect and HotDocs,(HotDocs.Com) ; and they have served my needs well. Recently, I purchased a monthly subscription to the automated Florida forms volumes, as ProDoc (ProDoc.Com) has moved into the Florida market in a big way, and the practice packages are designed for Florida lawyers. ProDoc has owned the Texas document assembly market for years, and now has a complete set of practice libraries for Florida. The Florida forms volumes cover thirteen areas of law. Two of the volumes contain integrated special-purpose software programs called “add-ins.” The Family Law volume contains Financial Affidavits and Child Support Guidelines Calculator add-ins. The Probate volume contains a Probate Inventory, Probate Accounting and Probate Management System add-ins. In effect, you receive a complete Florida library of forms systems for a monthly fee of $85. It requires no down payment, and the service can be cancelled at any time. My bet is that, once a lawyer becomes hooked on the time saving characteristics of automated document assembly, there will be few cancellations. Save some time today. Give ProDoc a try. E-Filing - An Idea Whose Time has Come - And Here It Is Again! "The Florida Supreme Court, at the urging of the Court Technology Users Committee of the Court, and from the Clerks of Court, has adopted new amendments to Rule 2.090 of the Rules of Judicial Administration, and Rule 2.060 thereof, which recedes somewhat from the restrictive amendments adopted in 1996. (Amendments to the Rules of Judicial Administration..No. 81,638, July 17, 1997). In its opinion, the Court acknowledged that it had received much criticism for the original ruling, primarily because of the requirement that any electronic filing be followed by a paper filing. The Court had adopted the rule changes recommended unanimously by the Court Technology Users Committee, which retain the requirement for Court approval of any electronic filing plan prior to implementation. The new Rules, however, provide for the eventual elimination of backup paper filings once a system has been shown to be operating reliably." Now, fast forward to April 27, 2005, and an actual plan for efiling has been approved by the Florida Supreme Court as submitted by Jed Pittman, Pasco County Clerk of Court. A web-server interface will accept documents filed over the Internet, under a plan created and sold by LexisNexis. The system will automatically transfer the documents to the Clerk's system. The system may only be used by registered Florida Bar members, and there will be fees for using the system. Only documents deemed to be public records will be available on the Net, and the filed documents will be considered copies for the attorney's files. The official records will be kept by the Clerk. For the time being, the old "file a paper copy within 90 days" rule will stand, and the Supreme Court may order that follow-up filing not be required, once proof of concept is established. Who said the wheels of justice grind slowly? Link: Win-Hand. While GoToMyPc is my choice for remote connection to the office server, it requires a Windows computer with an Internet connection. For truly mobile network access, MTImpossible Corp. has devised a Palm based application, Win-Hand, that allows encrypted access to the office network from a wireless Palm smartphone or PDA. I use my Treo 650 and Win-Hand to access the office network. The small screen makes navigation difficult, but not impossible, and the cool factor of operating a Windows based network server from a smart phone cannot be denied. In the beginning, I was worried about the security of the system, but those fears have been allayed by use experience, and the fact that all data is encrypted going back and forth over the Net. The company requires encryption keys to be downloaded and installed before it can be used. The cost is minimal (about $41 for six months), and I recommend it. Have you ever wanted or needed to access the office computer or server, and you were sitting in an easy chair at home on a Sunday afternoon, watching a football game? I have, and it was a real pain to get in the car, drive to the office, get the file I needed , and drive home. Well, a couple of years ago, I discovered a remarkable software program, GoToMyPc, and now I can access the office server from any Web enabled computer connection. In fact, I am doing it as I write this post from the comfort of my home office. Not only can I transfer files back and forth, but I can have instant communication with my secretary. As far as she is concerned, I could be sitting in front of the office server. We can instant message, I can keep up with changes in the calendar and track my telephone messages. I can create documents, and print them remotely directly to the network printer in the office. GoToMyPc was recently acquired by Citrix, the remote access industry leader, and is an affordable solution ($20 a month) for one computer, and discounted monthly rates for additional computers. The software is largely invisible, loading automatically, and is password protected at both ends. You can try it for free, and I recommend it highly. Wireless routers are the current rage in mobile computing. WIFI hotspots are popping up all over, and the Futurelawyer thought it was time for a rudimentary discussion of the technology. In the last installment we discussed the inherent security of the NAT inside a typical router. But, what happens when you start shooting your network traffic around the house, office or coffee shop with radio waves? Naturally, any radio wave can be intercepted by someone with evil or curious intent. Thus, enter the standards for wireless security known as WEP, WPA, and other protocols. All you really need to know is that these are just one method of securing your signal, and that they operate by encrypting all traffic within the wireless network. WEP is outdated, and easily intercepted and read, so the Futurelawyer doesn't recommend it. WPA is relatively secure, but difficult to implement. Each computer on the network has to support the protocol, and a lot of older cards don't. The best thing you can do is layer your protection, and the Futurelawyer does this by telling the router to only accept traffic from wireless appliances with an approved MAC address. Every computer, and every card has a unique identifier, called the MAC address, and you can tailor your wireless network to those computers and cards only. Well, that is enough geek speak for one day, don't you think. Let's go earn a living. I am often asked about Internet security. 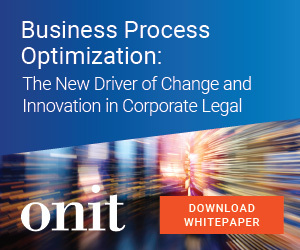 It is a truism that the weakest link in security in most law firms is the ability to gain confidential computer information from employees of the the firm. Small firms are not immune to this disease. This post is not intended to give strategies for identifying persons who use social engineering to get confidential information from employees, although every firm should train its employees in methods of computer and Internet security. Every employee should know and understand that email and attachments to email should be scrutinized carefully before being opened, and should understand phishing and pharming schemes. Today, however, I want to talk about the one essential hardware security system, the humble router. Most routers nowadays are really cheap (under $100), and contain the best Internet security you can get: a NAT. NAT stands for Network Address Translation, and, simply put, it makes your internal network computers invisible to the hackers and bad people on the Internet. In effect the NAT assigns a private Internet address to each computer on the network, and, when traffic comes from outside through the router, "translates" the request to travel to the correct computer. So, as far as the world is concerned, your network is located at a "public" address, but hacking attempts to that address are stopped at the front door. This is a classic firewall, and should be between every computer you own and the Internet, both at home and at the office. In future posts, I will talk about what you can do to protect yourself from Internet traffic that is "invited in" by you or your employees. Remember, be careful out there. Law yers have been using Case Management tools to manage calendars, contacts, to do lists, and matter management for some time. 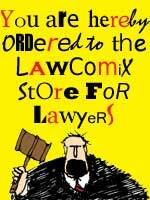 As Futurelawyer readers know, the FutureLawyer prefers Amicus Attorney for these tasks. However, a new kind of legal management is coming of age, known as knowledge management. In complex litigation , it is valuable to have software that keeps track of documents, witnesses, issues, etc. in a computer database. Not litigation management per se, but close. In a future post, I will discuss my favorite litigation management tool, Summation, but today I want to focus on Version 5 of the CaseMap software. CaseSoft . After opening a new case file, the software suggests opening an Object spreadsheet and creating a cast of characters. These can be witnesses, parties, companies, documents, anything. Second, the user creates an Issues spreadsheet, in outline form. After that, enter a fact chronology, and , voila, the case is organized. It is much better when interviewing clients or witnesses to create fact chronologies as you go. Once complete, it is very simple to create detailed charts and graphs that can be blown up and projected to Judge or Jury. With the addition of the timeline software, TimeMap, graphical chronologies can be created with the press of a key. Very cool, and very inexpensive. Futurelawyer recommended. You can download a trial copy free. Have fun. Another wonderful legal news resource that the FutureLawyer has been reading for some time is the LawFuel site : www.lawfuel.com . This cutting edge news resource has great content, and an attitude. It began in New Zealand in 2001, and is an independent news service for lawyers that aggregates law firm and lawyer news from all over the world. It offers other products and services, and will be implementing an RSS feed soon, that will be featured on Futurelawyer.Com. Since it began early, it has grown fast, and is the Futurelawyer's first stop for legal news with a global perspective. Enjoy.